The 2014 Creative Diversity Network Awards are now open for entries. The ceremony, hosted at the London Studios of current CDN Chair ITV, will take place on 11th?November 2014. 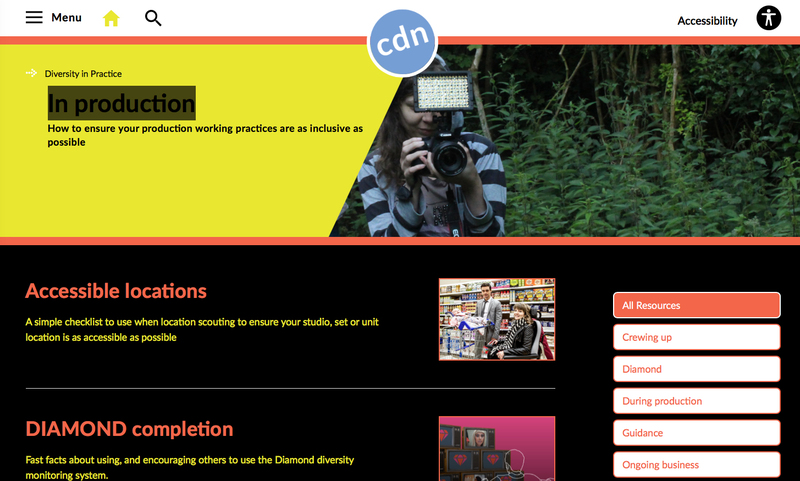 The Creative Diversity Network Awards promote and celebrate excellence around the diversity agenda ? on and off screen ? in British television production. There are nine categories in this year?s awards. Before entering you must read?the entry guidelines and notes on eligibility. Find out more about each category below and click the links to submit your entries online. Recognising the importance of onscreen talent in changing and challenging perceptions, this award is seeking nominations for an actor, presenter, performer, newscaster or any other onscreen talent from any other genre, from an under-represented group, and for their outstanding work on screen. This award aims to acknowledge the importance of original, authored work in shaping programmes. Writers or directors from under-represented groups are eligible and the judges will be looking to reward creative excellence. Due to a lack of entries in this category we have taken the decision to remove it. You can still acknowledge the outstanding achievements of production teams or individuals working in production by making your nominations in the? ?Achievement in Production? ?category below. This award is for an individual or team who has made a significant impact to improving diversity in any aspect of production either on screen or off screen. Nominees can be anyone from runners to series producers, who have implemented production practices which have had a demonstrable effect on either the make-up of production teams or their output. This award will recognise a commissioner or commissioning team that has made an impact by addressing diversity through new commissions or commissioning practices, with the aim of sharing their successes with the broader industry. Commissioners and commissioning teams can put themselves forward, or can be nominated by others. A network or regional news team that has employed new and non-traditional means for gathering news from under-represented groups, in a news report. Recognising that disabled people are under-represented on screen, and wanting celebration of positive inclusion as an inspirational catalyst for our industry, this award celebrates a programme that has challenged established models and brought a fresh approach to the inclusion of disabled people on and off screen. Programmes of all genres are eligible. This award will honour an industry leader who has demonstrated a sustained, long-term, and significant commitment to diversity but who does not necessarily have diversity as their core role. Has had a real-world impact addressing issues that affect under-represented groups.